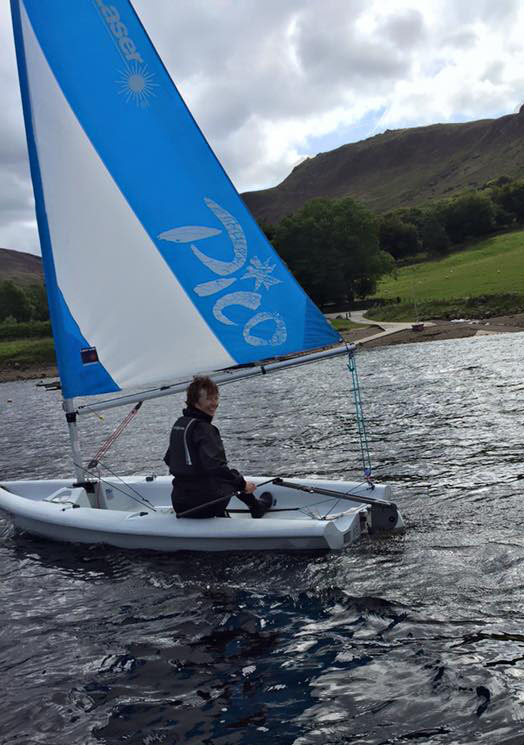 The Laser Pico dinghy is a small sailboat designed by Jo Richards in the mid-1990s and used primarily for training and day sailing. It can be crewed by one or two children or an adult. Current models come equipped with both a mainsail and a jib, but the jib is so small that it is faster sailed single handed using only the mainsail. A sport version is also available on this boat which includes a larger Mylar sail and upgraded control lines. This improvement changed the PY from 1338 to 1269 (For the double handed setup). This version is used extensively in the one-design race series.